EghtesadOnline: The U.K.’s opposition Labour Party wants Britain to stay in the European Union’s single market for an extended period after it leaves the bloc, a shift in its position that could undermine Prime Minister Theresa May’s efforts to deliver her vision of Brexit. The proposal, which would mean no additional customs or migration controls in March 2019, would allow more time to finalize details of the U.K.’s departure, and give government and business time to prepare, Labour’s Brexit spokesman Keir Starmer said. It would also eliminate the need to negotiate a transitional arrangement at the same time as a final deal, according to Bloomberg. If Labour can force a Parliamentary vote in support of its position, it will put pressure on Conservative lawmakers who oppose leaving the single market to fall in behind it. Legislation that seeks to prepare Britain for leaving the EU returns next month to Parliament, where May doesn’t have a majority, and lawmakers are expected to battle over amendments. Starmer was clear that Labour remains committed to implementing Brexit. He also said his party wanted to see a final settlement that allowed the U.K. “more effective management of migration” -- something that would make permanent membership of the single market difficult. And he emphasized that he saw the transition as time-limited. “It cannot become a kind of never-ending purgatory,” he said. Some Labour lawmakers are pressing for more than that. A new group, Labour Campaign For The Single Market, will launch on Tuesday, pushing to get the party policy changed to supporting continued single market membership. Business leaders overwhelmingly support continued single-market membership, while several prominent Conservative lawmakers have defied May to speak publicly of their support for ongoing single-market membership. The shift in Labour’s policy comes as the U.K. prepares for another round of negotiations in Brussels on Monday, which EU officials have signaled are unlikely to yield much progress. Brexit Secretary David Davis will ask his EU counterpart Michel Barnier to use "imagination" and flexibility to allow talks to move forward, as EU officials remain doubtful that enough progress will have been made by October to move on to trade talks. While the round of negotiations kicking-off in Brussels this week will be technical, the U.K is hoping to proceed to discussions mapping out the future relationship with the EU as soon as possible, Davis’s office said. While the U.K. said neither side should "drag its feet" with the deadline for exit set for March 2019, May’s decision to call an election last June means months of negotiation time has already been lost. The European Commission has warned that Britain must first settle its so-called divorce bill, resolve the issue of EU citizens’ rights and find a workable solution for the Northern Irish border before taking discussions further. A senior EU official on Friday downplayed the chance of any major progress this week in key areas such as the bill. 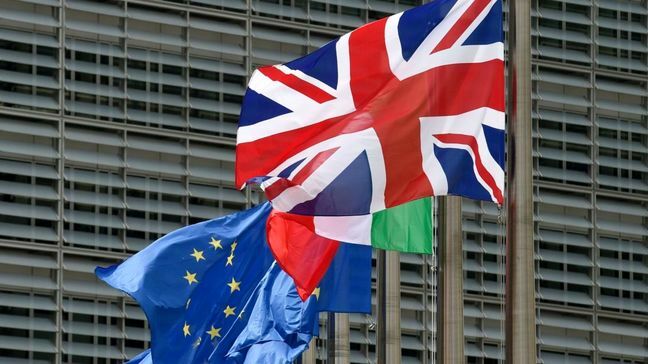 While even Foreign Secretary Boris Johnson on Friday acknowledged some payment would have to be made to the bloc -- after saying a month ago the EU could "go whistle" if it expected Britain to pay -- the two sides haven’t even agreed how to calculate the bill. While the EU isn’t demanding the U.K. signs up to a specific amount at this stage, it does want it to agree soon on a methodology for reaching the final figure. German Chancellor Angela Merkel reminded Britain on Saturday that it had to settle its dues. Davis and Barnier will meet to formally open talks, and officials will then hold working groups to discuss technical details behind each side’s proposals, Davis’s office said. Davis and Barnier will then close negotiations on Thursday.